AutoPlay Media Studio’s visual approach to rapid software development makes it easy for anyone to create their own applications – even if you have absolutely no programming experience. 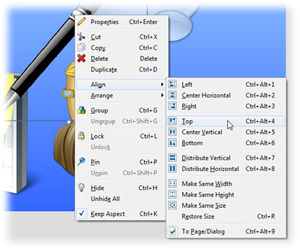 It’s the perfect tool for creating CD/DVD autorun menus – but that’s just the beginning. 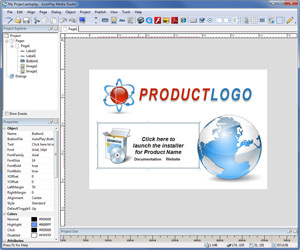 It’s also being used by thousands of developers to create interactive presentations, video training software, web tools, database apps and much more. 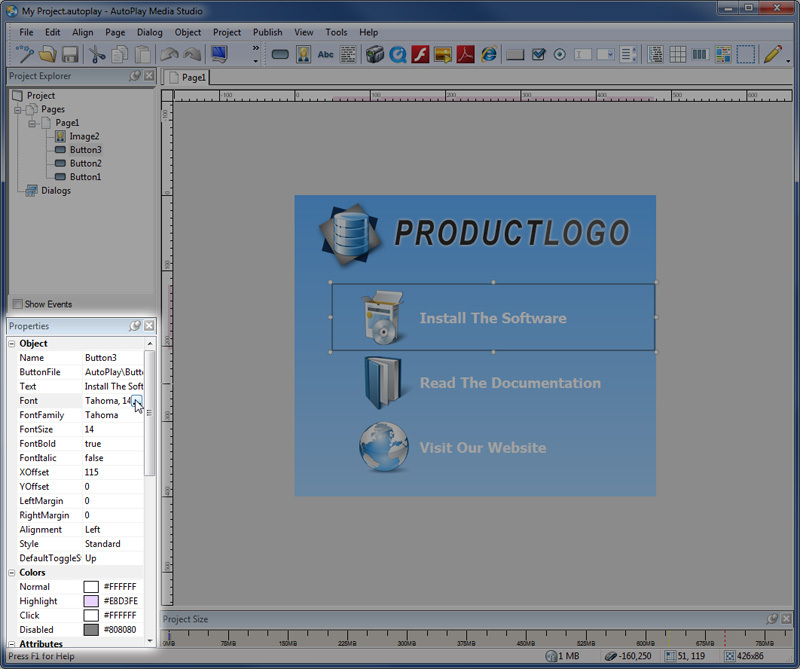 Building professional software couldn’t be easier! 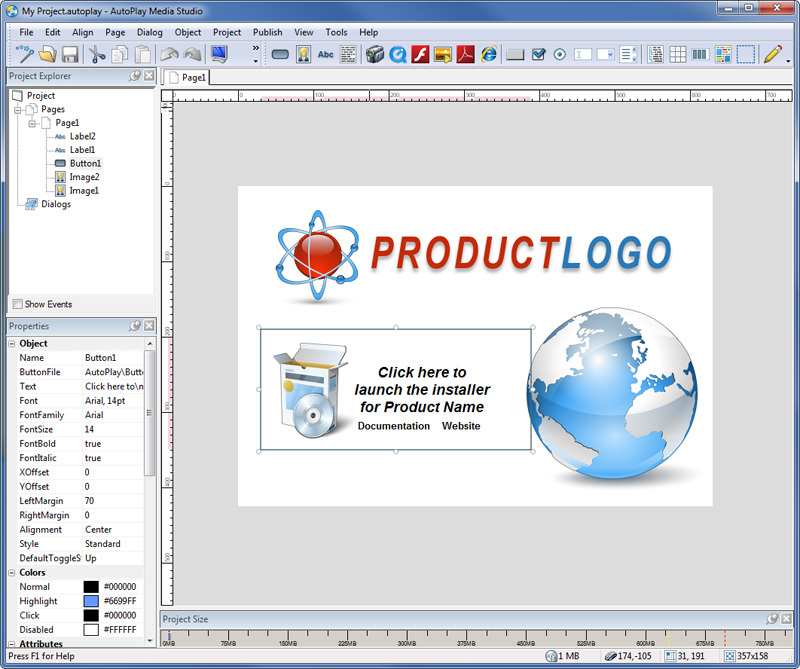 Our award-winning WYSIWYG (what you see is what you get) visual design environment makes multimedia software development easy and fun. Simply drag and drop your media content onto one or more pages and then add interactivity with over 865 built-in actions. 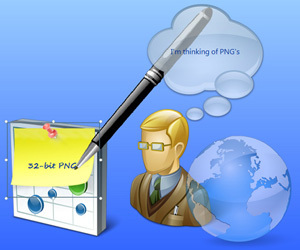 Support for 32-bit PNG images, gives you access to incredible shadow effects, blending options, opacity levels and full alpha channel information. 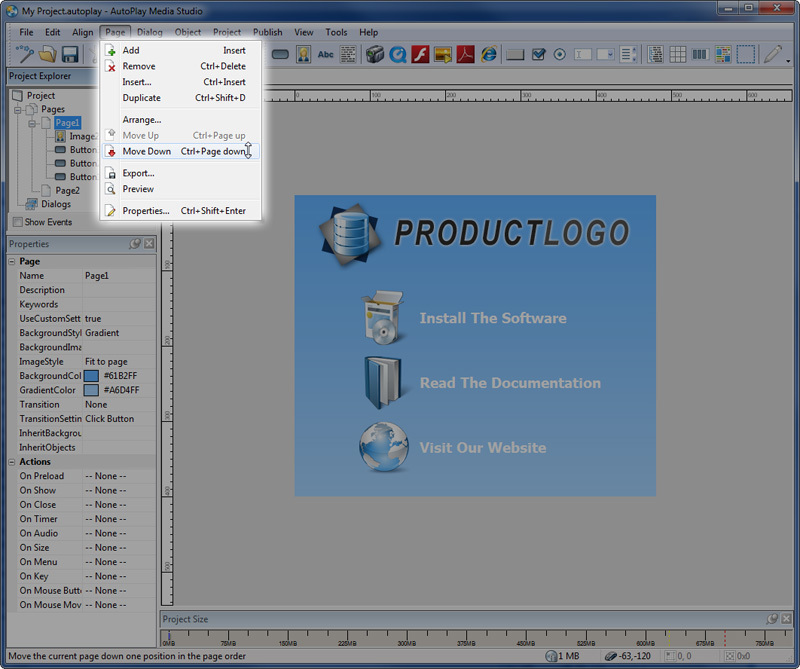 Just like in your favorite image editing software, AutoPlay Media Studio contains all of the popular layout tools such as object alignment, page grids, and guidelines. Forget about being restricted to rectangular windows. With the window mask feature, you can create applications of any size and shape you desire. Select from the included masks like “star,” “bubble” and “oval,” or make your own. There are nearly two dozen different object types to choose from. 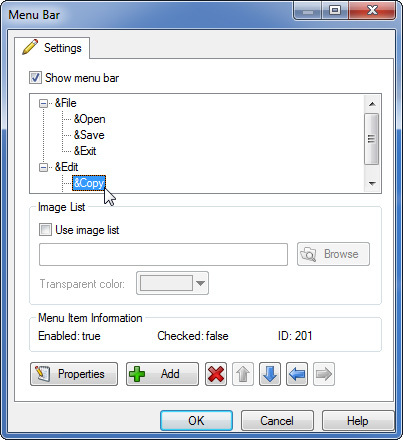 Object types include: Button, Image, Label, Paragraph, Video, QuickTime, Flash, SlideShow, PDF, Web, xButton, CheckBox, RadioButton, Input, ComboBox, ListBox, Tree, Grid, Progress, Rich Text, Hotsopt, and various plugins. 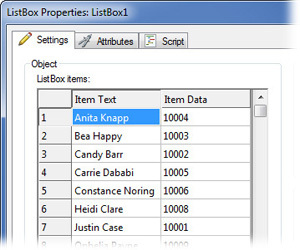 Each object includes a variety of events and is fully customizable. 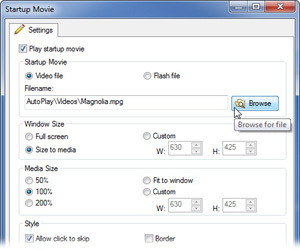 You don’t need to be a programmer to use AutoPlay Media Studio. It’s easy enough for anyone to use. 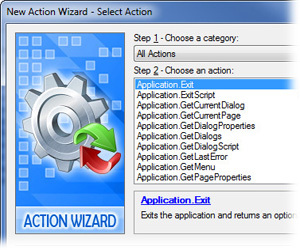 While a full wizard-assisted scripting engine is available for power users, the Quick Action tab lets new users get up to speed right away. 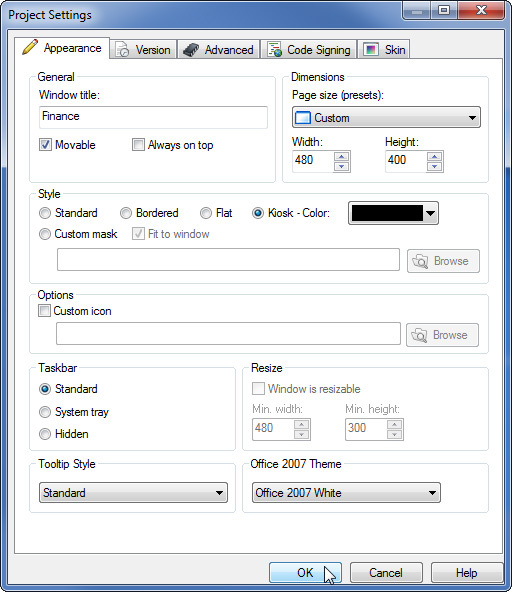 Just fill in the blanks to handle the most popular actions like opening documents, running programs, switching pages and more. It’s that easy! 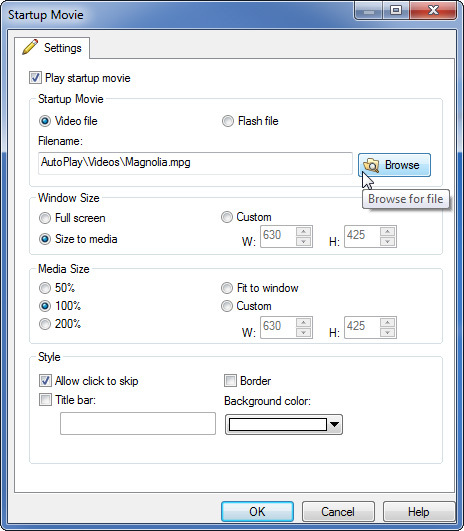 For advanced users, AutoPlay Media Studio 8 includes the same scripting engine as other Indigo Rose products. Based on the popular “Lua” language, this incredibly powerful free-form scripting engine features everything from ‘for, repeat and while’ loops, to ‘if/else’ conditions, functions, variables and associative arrays. 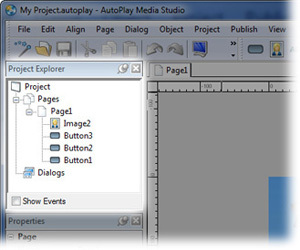 AutoPlay’s event-driven, object-oriented architecture makes it easy to create interactive multimedia applications. 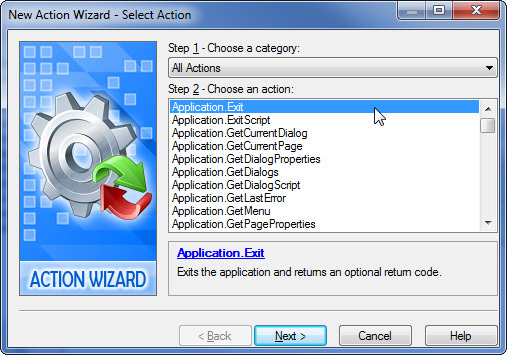 The built-in action wizard makes the scripting engine accessible to everyone. Simply choose the action you want from a categorized list (complete with on-screen interactive help), fill in the requested information fields and the wizard does the rest. We’ve included a library of more than 865 powerful yet easy to use actions. 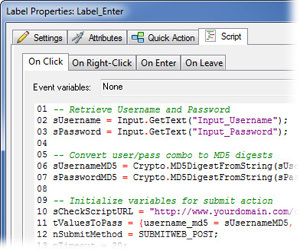 There are high-level actions to handle everything from text file editing to system registry changes. You can execute programs, open documents, query drive information, manipulate strings, copy files, enumerate processes, interact with web scripts, display dialog boxes and much more. 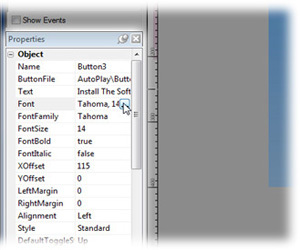 The properties inspector is a fast way to view and edit all of the attributes of a page or object. 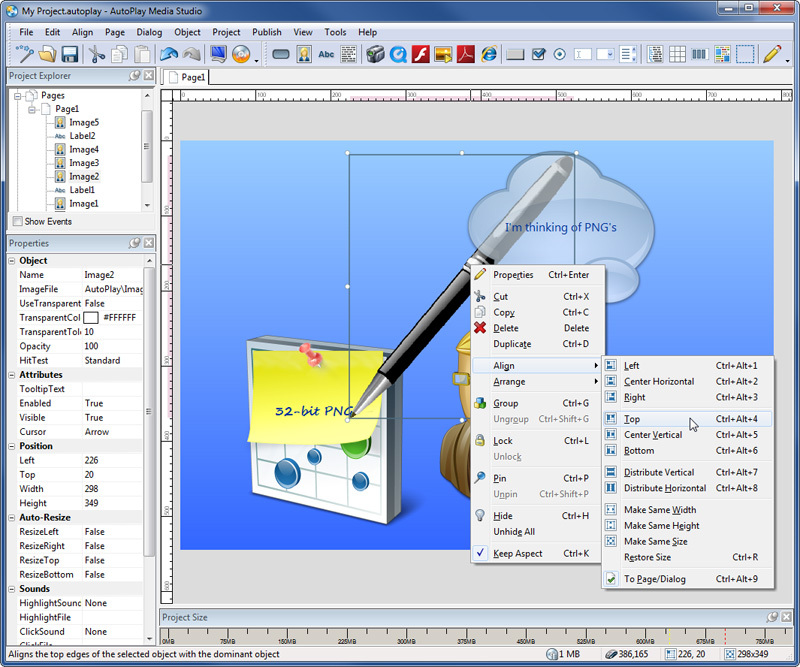 You can interactively edit the object text, font, size, color, tooltip and much more without missing a beat. Get an overview of your project in one place. 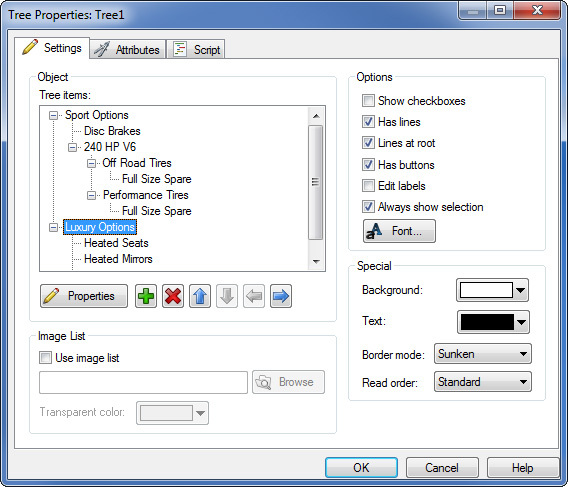 You can see all of the pages, events and objects in your project organized into a tree hierarchy. Double-click any item to edit its properties or right-click for common commands. It’s a great way to see how everything is connected. Pages are the backbone of AutoPlay Media Studio. Consider that you can have up to 1000 of them in each project and you’ll realize the importance of effective page management. Accessing pages is easy thanks to the page tabs on the main window. 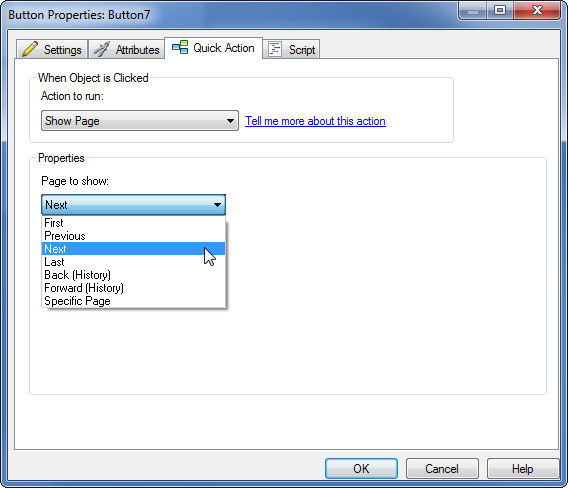 You can also easily change page order, rename or remove pages and more with the click of your mouse. Run your project as a standard window, or go for something more extraordinary like bordered, flat, or kiosk mode. With support for window masks, you don’t even have to make it rectangular. Talk about cool! Take advantage of the fastest, most advanced sound effect and music handling engine available anywhere. 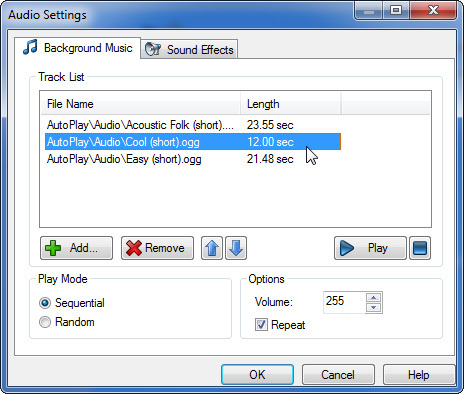 Add music files to the play list, and they’ll play in the background while your project runs. 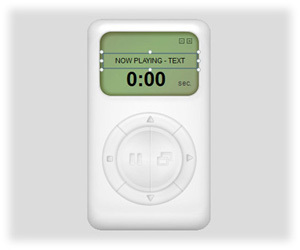 All of the music is automatically mixed in real time with mouse-over sound effects. 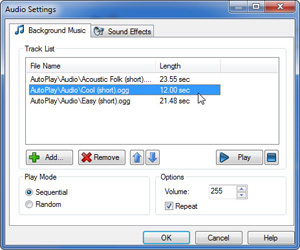 In fact, you can play up to 8 channels of audio simultaneously with automatic selection of hardware or software mixing. 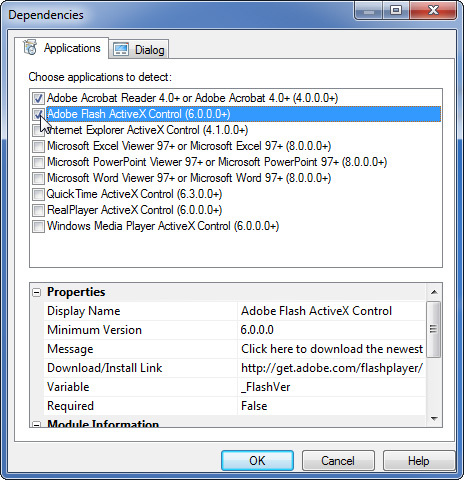 Incredibly, it does not require any version of DirectSound or DirectX to be installed, using them only if available. 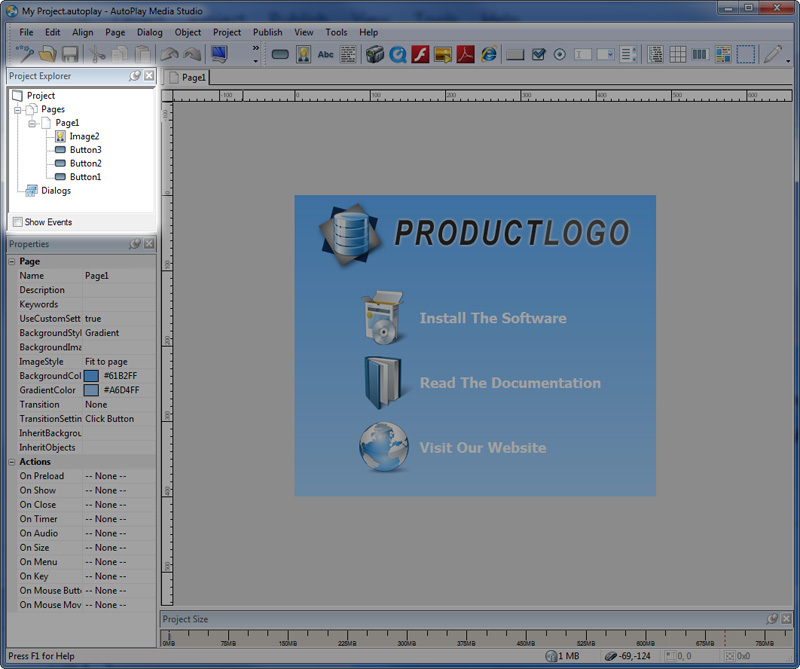 Add a standard Windows-style menu bar to your project. 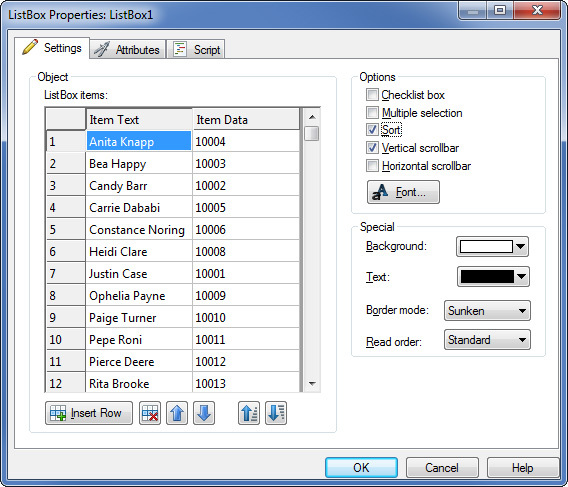 It’s easy to configure and edit, even letting you configure nested items. When a menu item is selected, it fires a project event telling you what was chosen, allowing you to take whatever action you desire. 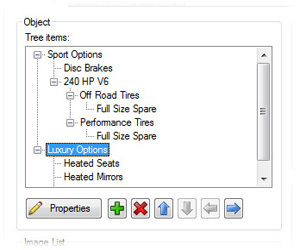 AutoPlay Media Studio has many sophisticated objects built right in, such as the Tree object which makes setting up an interactive hierarchical tree view a snap. 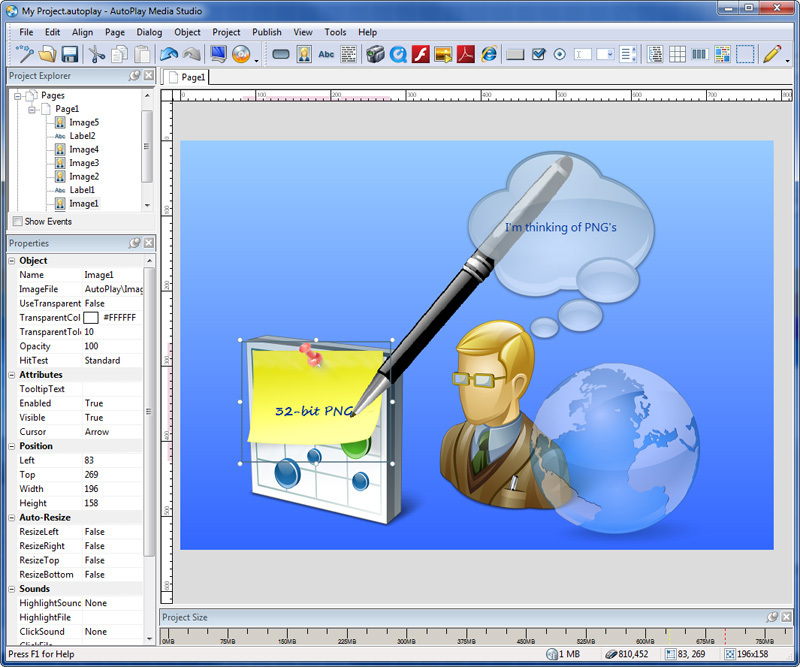 Start your project up with an introductory video or flash animation. 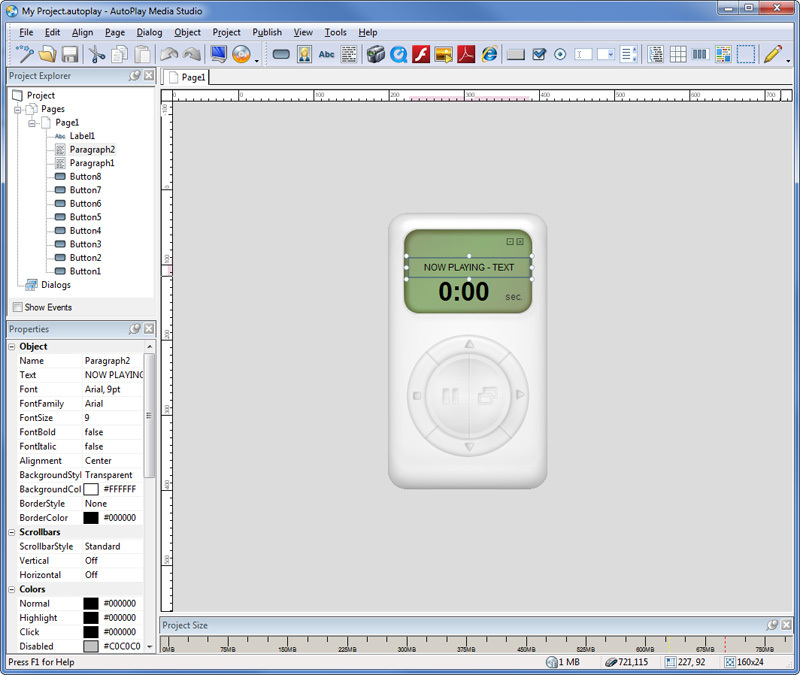 It can run full screen or windowed and makes an eye-catching start to your project. 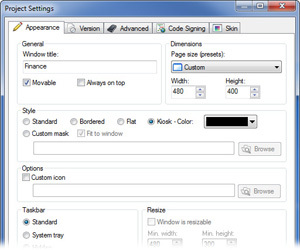 Of course, there are a variety of option settings including size and background color. 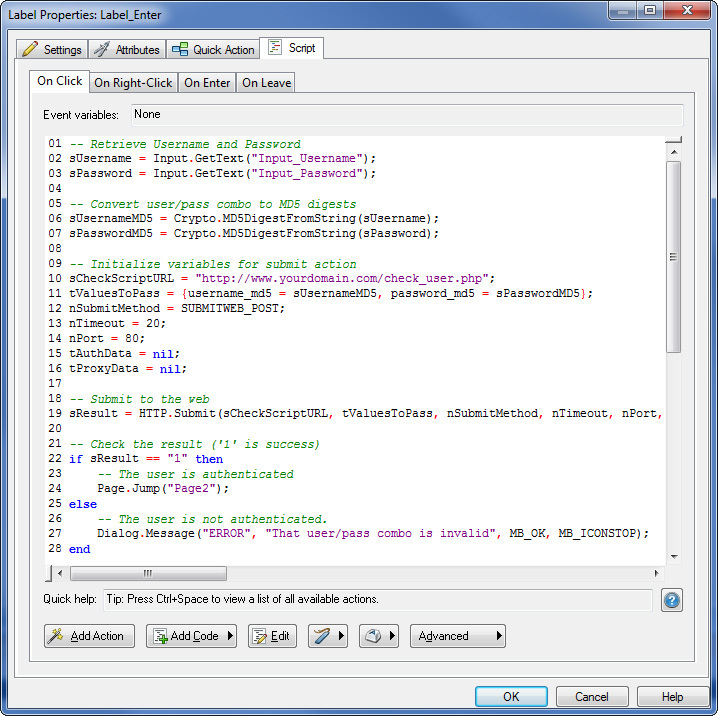 Automatically check the user’s system for required technologies with the built-in dependencies system. The dependency checking system is completely open and scripted, so you can modify the behaviour or even add your own technologies to the list. 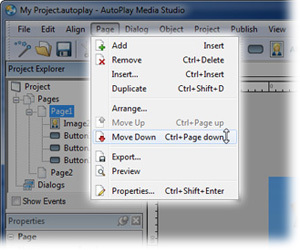 AutoPlay Media Studio makes building and distributing your finished project a snap. 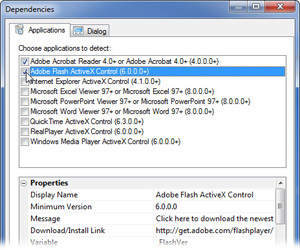 Whether you’d like to create a single-file executable for web download, or burn it to a CD/DVD data disc, it just takes a few clicks. 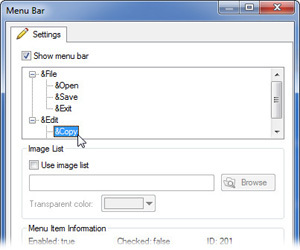 You can even choose to publish to an ISO disc image, or build straight to a hard drive folder for packing up into a setup.exe with your favorite installer tool, like Setup Factory.